People ask me how I write a weekly column for the past seven years. How do I pick a subject? How do I fit it into an already busy personal, family, and ministry schedule? First, I think and pray for a few days while watching the news carefully. What is happening in the world and what does God want us to think about it? Then I simply act on my best hunch, take a step of faith, and discipline myself to type. That’s no different than any other job. A lot has happened in our world the past week. Thousands of refugees are flooding Europe. Kim Davis went to jail for standing up for traditional marriage. Today the votes begin on giving Iran a pathway to nuclear weapons. He was wrong. Dead wrong. Seven years later, 55 million people, or two percent of the world’s population, would be dead because of his worthless and reckless diplomacy. That’s how I feel about the Iran nuclear deal. The American people seem to agree with me. Yet, if President Obama and the Democrats get their way, then we have committed “insanity on our time” by giving the world’s main sponsor of terror 150 billion dollars to escalate that war and a clear path to building a nuclear bomb to drop on Israel and others. Today the Supreme Iranian Ayatollah tweeted that Israel would be gone in 25 years. I’m not so sure of that (if God has anything to say about it), but there are millions that could be killed in an Iran-inspired World War III. 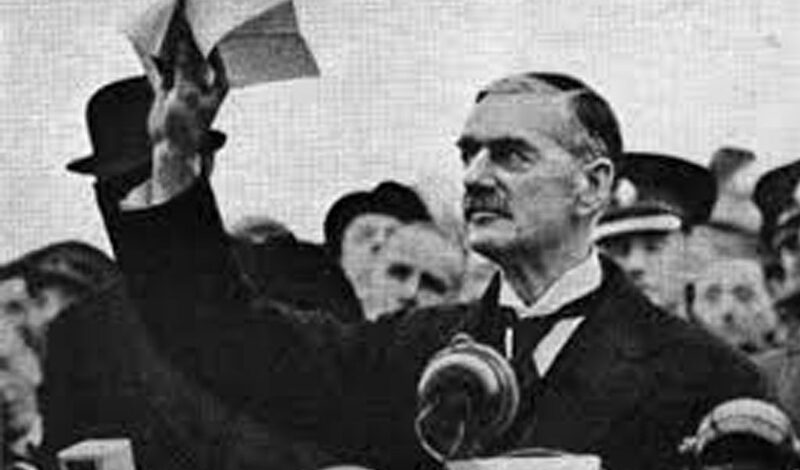 This deal is clearly satanic and insane–just like the one that Neville Chamberlain brokered seventy-seven years ago. And it reminds me of something. I remember walking through the horrific ruins of Dachau–an infamous Nazi death camp in Germany–and being moved by the sign that sits at the entrance. How we human beings forget the clear lessons of history. Here we are, making the same tragic mistake only seven decades later. I could say much more, but thanks to my friend Bob Waymire, I will write one of my shortest columns and pass on to you a five minute video by Dennis Praeger that will put all of this in perspective. Share your faith in Jesus passionately with others. Intercede without ceasing for God’s intervention in human affairs. Pray and vote for some FDR’s and Winston Churchills to arise at this hour. Dennis Praeger on the Iran nuclear deal.